I’ve realized that many of us stay in relationships way past the point of the end. I met a girl last night who had finally ended a four year relationship, but knew it was over 2 years beforehand. She stayed because she clung on to the memory of the beginning in all it’s romance and excitement. He would make promises to change and she kept hoping it would last each time. 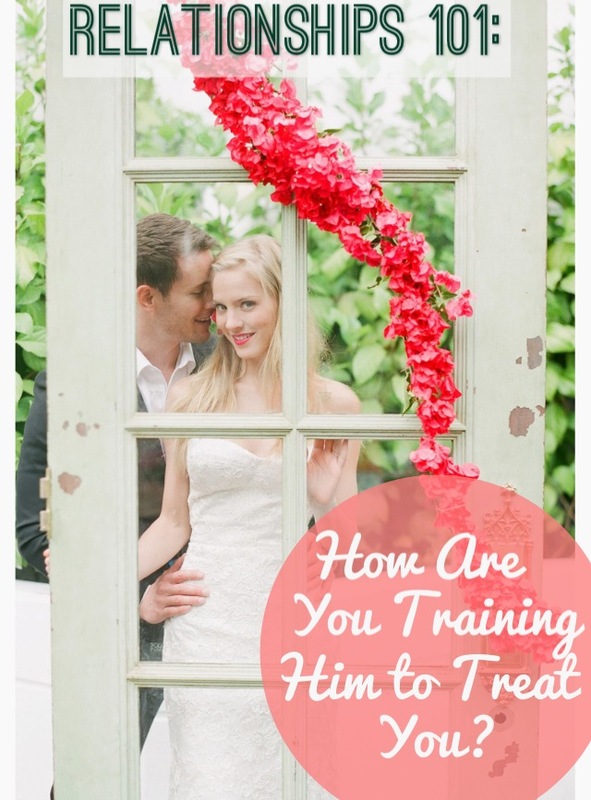 My husband says that when someone shows you their true colors while dating, believe them. I’ve been guilty of this myself. I was in a relationship that lasted about longer than it should have and I was staying largely out of fear. I was afraid of being alone, afraid I wouldn’t find someone better, afraid that my hopes for a beautiful love story were unrealistic. But one day, I opened up to a devotional called, “Do It Afraid” by Joyce Meyer. I realized after reading it that we have to make moves in the face of fear in order for God to work his magic. He has made us wonderful promises to give us hope and a future, but are we trusting him with our actions to give us just that? Or are we allowing fear to rule our decisions? Fear is the opposite of love and the enemy fuels our fear to make us actually believe our own justifications. I held my breath and told God I trusted him as I made the painful call to break-up with my boyfriend. I was afraid and heart-broken, but the faith I had in God’s promises were worth it. As He always did, he didn’t leave me hanging and followed through on His word by bringing the man of my dreams into my life 3 months later, who is now my husband. When you honor God, I promise he honors you. He gave me a love story worth writing about, and he wants to give you one too. As christian women, we can confuse where the line falls between having grace and compassion and having self-respect and Godly boundaries in dating. Here are 4 red-flags to give you clarity on where Godly boundaries come into play in dating. If any of them are happening, they are not circumstances where you keep extending grace and second chances. When it comes to dating relationships, where you could potentially partner your life with this person in marriage, you have to have know where to draw the line. Red Flag 1: If he is cheating, has cheated, is texting or calling another woman or you have a woman’s intuition that something is wrong: he needs to go. 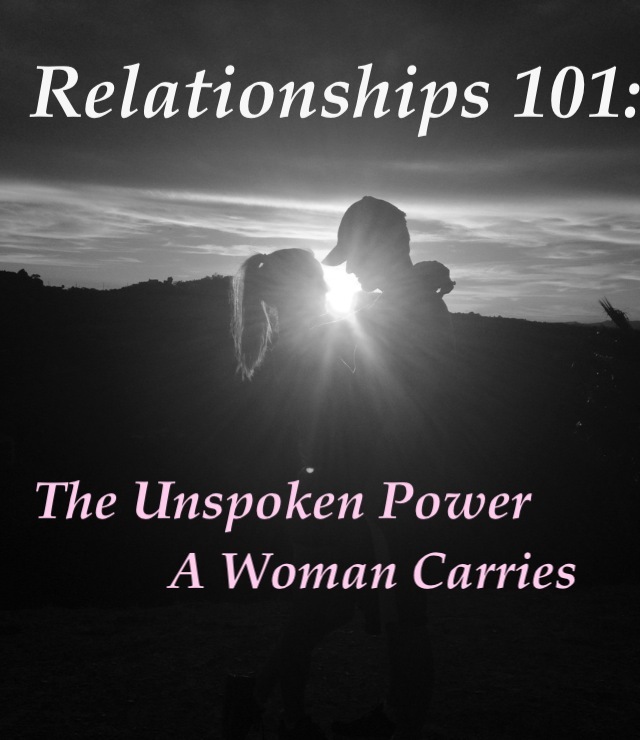 If he isn’t honoring you now and creating a space where trust can be built, why would it change in marriage? It won’t. Cheating is a one time offense and you aren’t being gracious by taking him back, that is not loving yourself well. Red Flag 2: If he makes you feel crazy, he needs to go. Feeling like you are losing your mind or going crazy are not side-effects of love. Love radiates peace and clarity and God is not the author of confusion. His attempts to control and manipulate you lead to feeling crazy. That should be a sure-fire sign that you are not in a healthy relationship, no amount of pleading and promising that he will change should make a difference. He has shown you his colors. Believe them. Red Flag 3: If he isolates you from friends and family, he needs to go. Any secure, truly confident man will embrace your friends and family, no matter how “crazy” they are. Cutting you off from your life stems from his insecurities and is a sign that there are bigger issues to come. Don’t let his smooth tactics convince you that you only need him and him alone. That is scary. 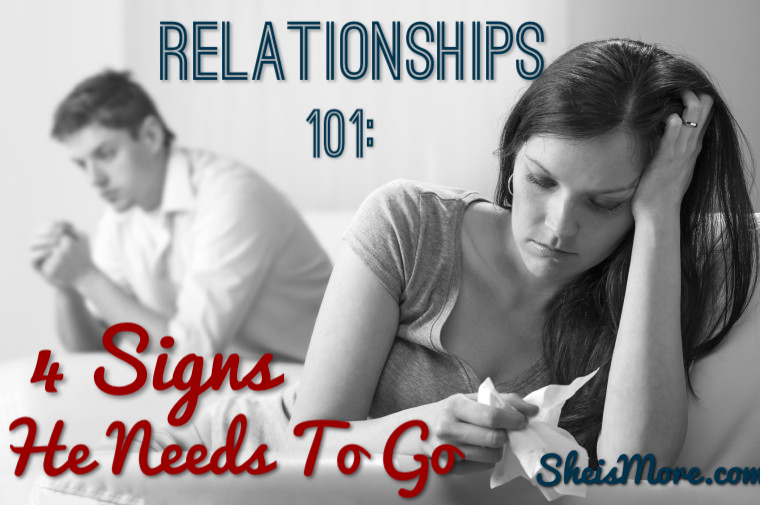 Red Flag 4: If he makes you feel bad about yourself, he needs to go. There is no excuse whatsoever for your boyfriend to make you doubt yourself or feel worse than you did before. 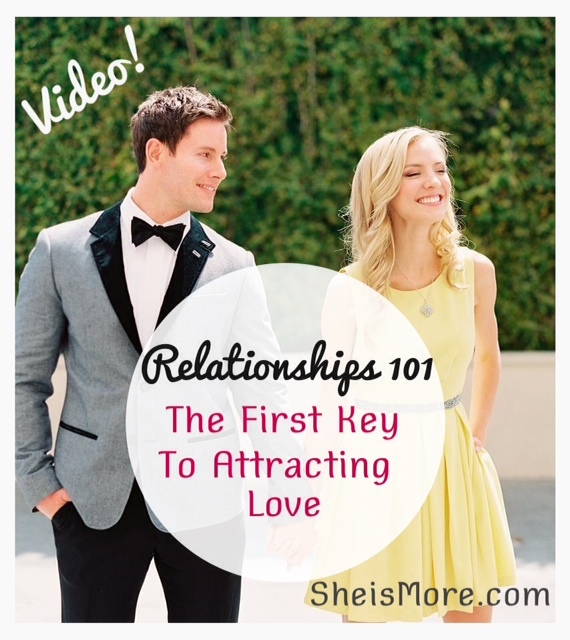 In the dating phase, he should be putting his best foot forward to show you how he plans to honor your heart and time. If you don’t feel uplifted and beautiful around him now, I promise you it won’t get better later. All four of these signs are actually precursors to abuse. So if these things are happening, I encourage you to be bold and not waste another Wednesday of your precious life by breaking up with him today. At the end of the day, what you take is what you think you deserve. Let God fill you up with how He sees you, what he wants for you and the plans he would love to give you. He has plans to prosper you, plans to give you hope and a beautiful future. Let go of the reigns, let His perfect love drive out your fear and let go of the relationship that’s squelching your beautiful vision of what love should look like. If this message blessed you, be a blessing by sharing with others. Girl, couldn’t have said it better! Wonderful post! Today is the first time I have read your blog, I stumbled across it on social media and let me tell you this is absolutely what I have been needing to hear!! I have come across a couple of situations that had these red flags in them over the past couple of years; not only in my personal life, but also in my professional life as well. I had a boss who displayed similar characteristics as well. I have had some blurred lines when it came to grace/self-respect. I have been diligently working on those by surrounding myself with the right kind of people; loving, honest and caring. I want to thank you so much for posting this wonderful encouragement!! Brooke, I came across this website through social media as well. I love all the article/posts on here. I added the page to my home-screen & check in often to see what new posts were added. Kristen is very inspirational to me & I think that she will continue to encourage you! I have recently experienced God’s love for me. I am 22 & up until about five months ago I have been single my whole life. I hold a high standard as to what I want in a relationship….a God approved relationship. That first relationship did not last but over a month. We got along and all but there was something missing that I could not pinpoint. I ended the relationship & every since I have been wanting that dream guy that meets my standards. I finally gave up because I felt like I was wearing myself emotionally. I simply asked God to take away my desire for a boyfriend. Not even three days later I met this amazing guy through my best friend. He and I have been talking for about two weeks and in that short time we have discussed so much. Pretty much, I believe that God sent him my way due to giving my free will away. It may sound like I am rushing into something, but I truly believe & trust in God. So gals, hold on & trust in God!! Thank you for posting this. It all is so true. 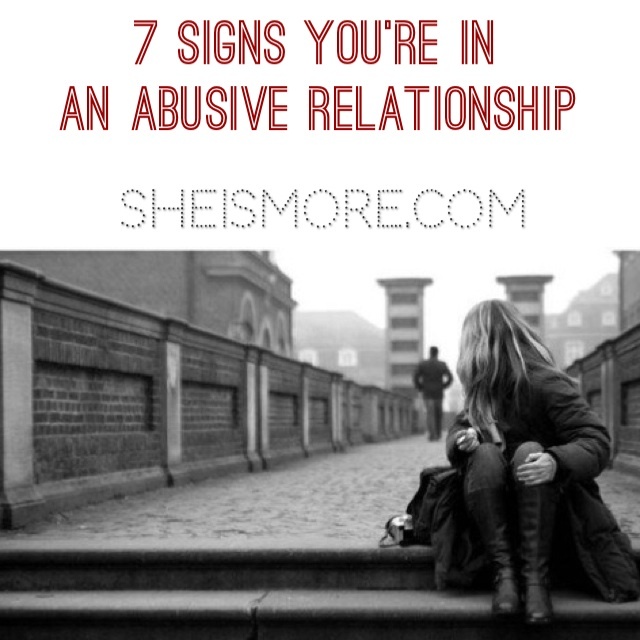 I got out of a abusive relationship. Unfortunately it took me until after I had married him to finally get the courage to leave. Things didn’t get better once we were married, they only got worse. Thankfully I got out and 3 months after my divorce I met the man God had intended for me. We now have a beautiful daughter. All too often I feel regret for not getting out sooner and wasting the time that I did when I could have been in a healthy relationship and would not have to repair all the broken relationships with my family and friends. I share my story with others because I don’t want anyone to go through what I did. If the other person has shown their true colors and you don’t agree with them get out. Do not think that you can change the other person, only God can change them.